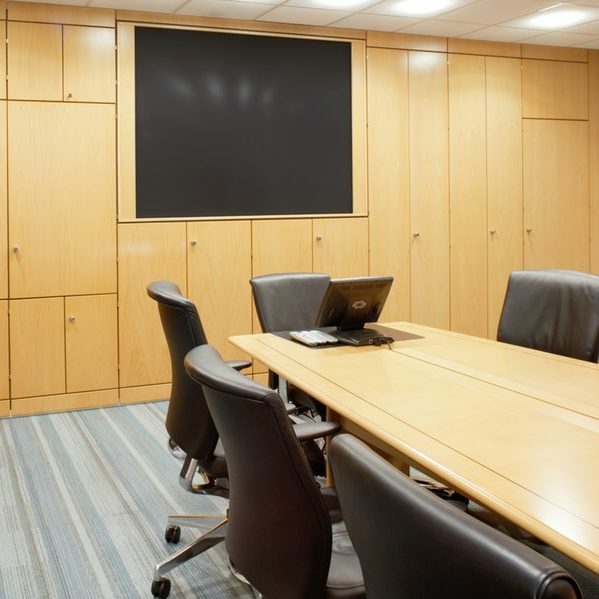 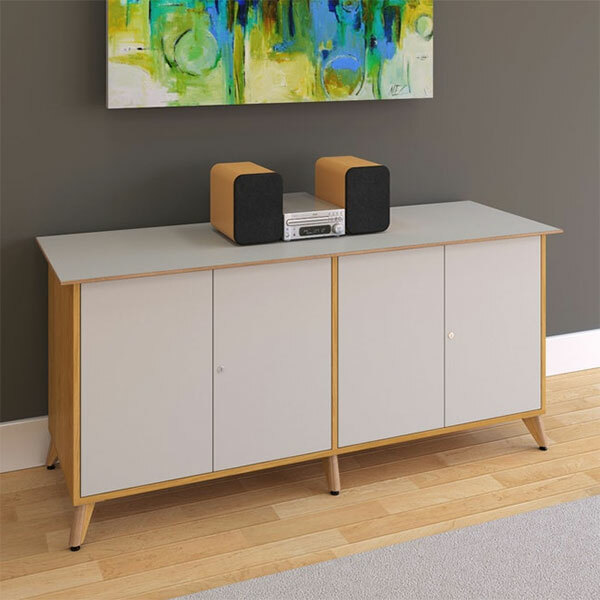 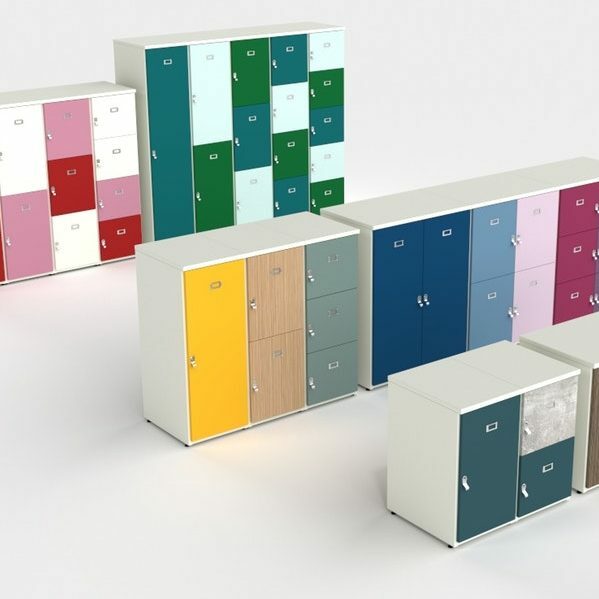 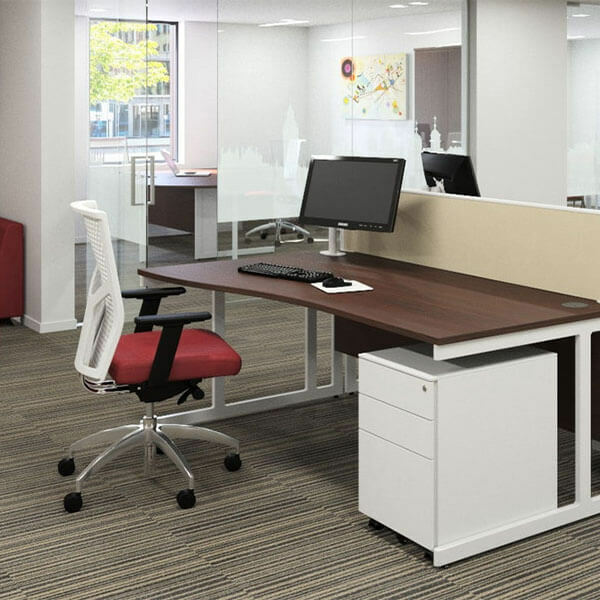 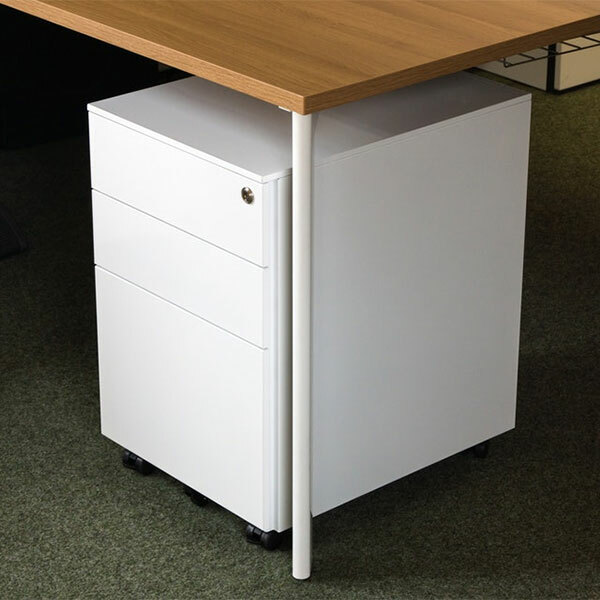 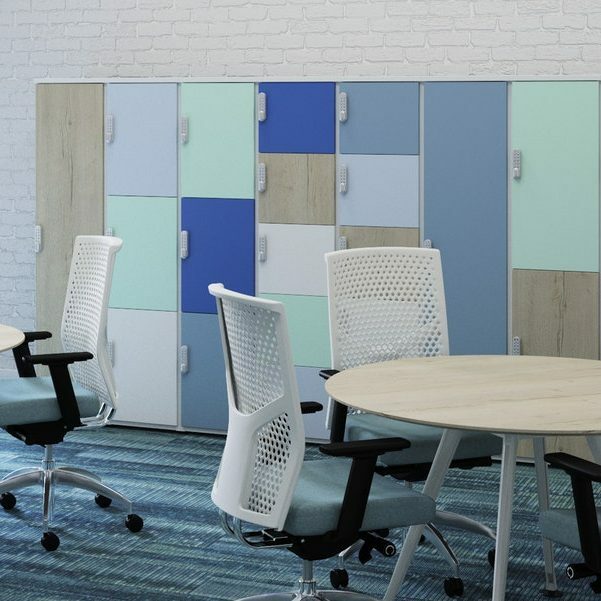 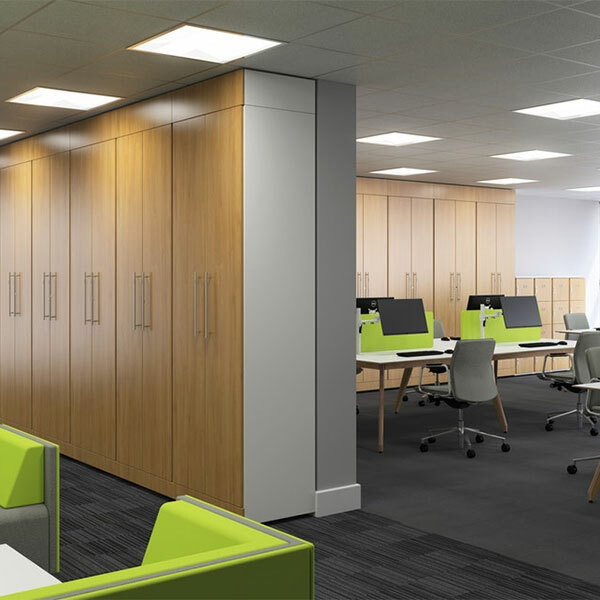 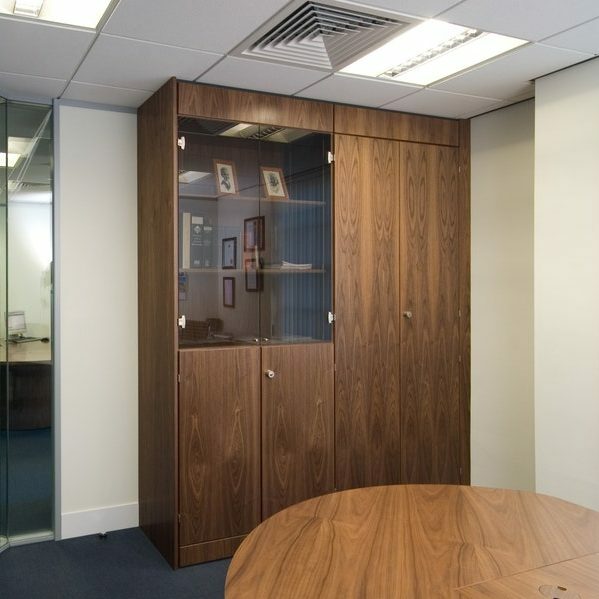 Storage is an essential part of any office and we have an array of storage solutions to fulfil your requirements including a simple drawer unit, cupboards fitted with shelves or filing frames for multi purpose use, lockers and presentation display units. 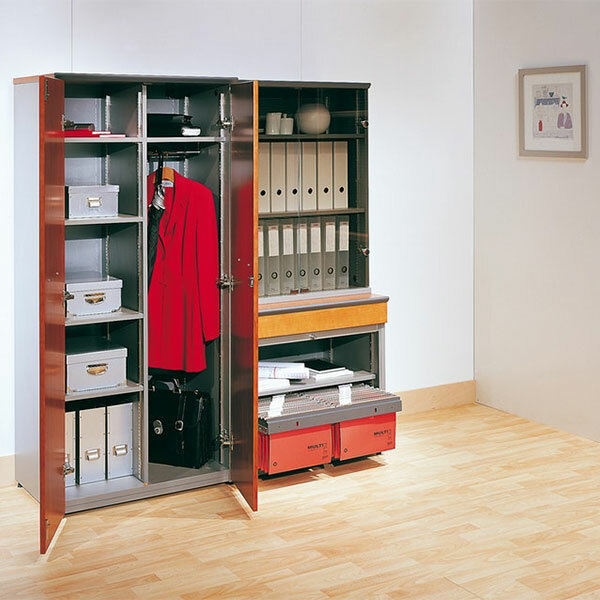 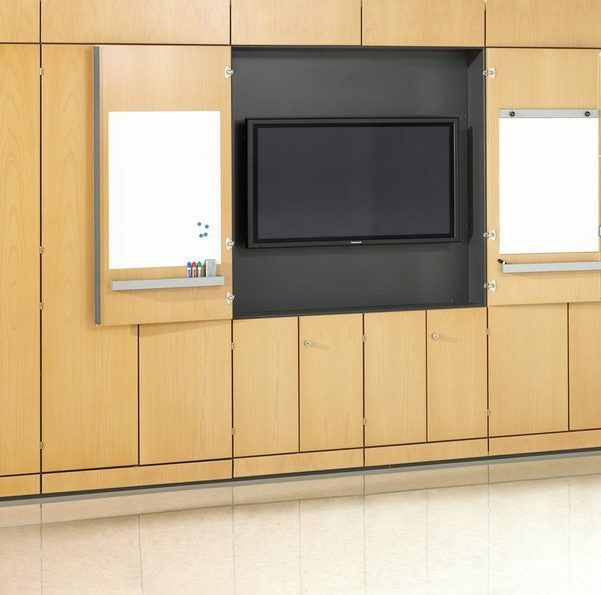 Hi-store is built-in floor to ceiling storage units which can also be used to sub divide large areas. 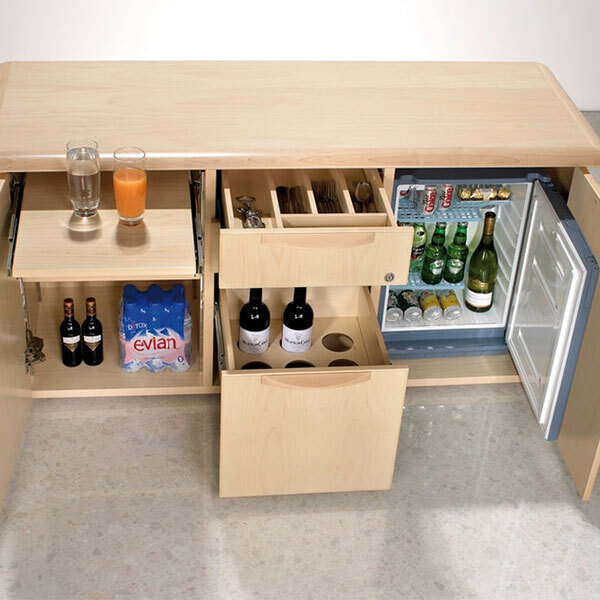 A few examples are shown below. 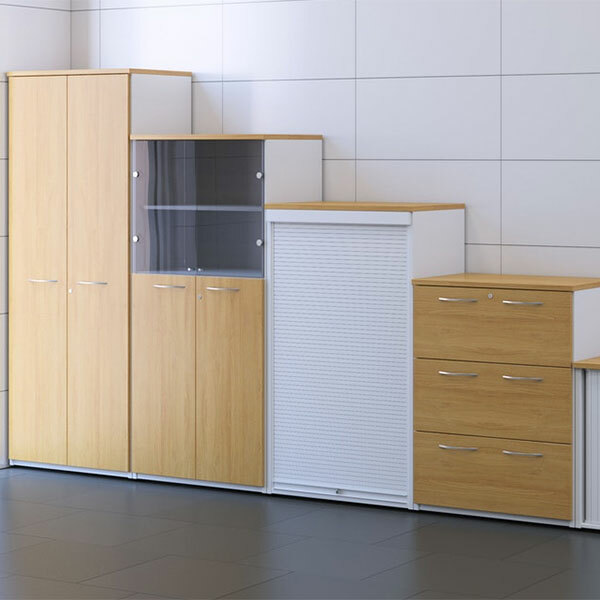 You may specify whatever combination of wood and glass doors, filing drawers and open shelving you desire. 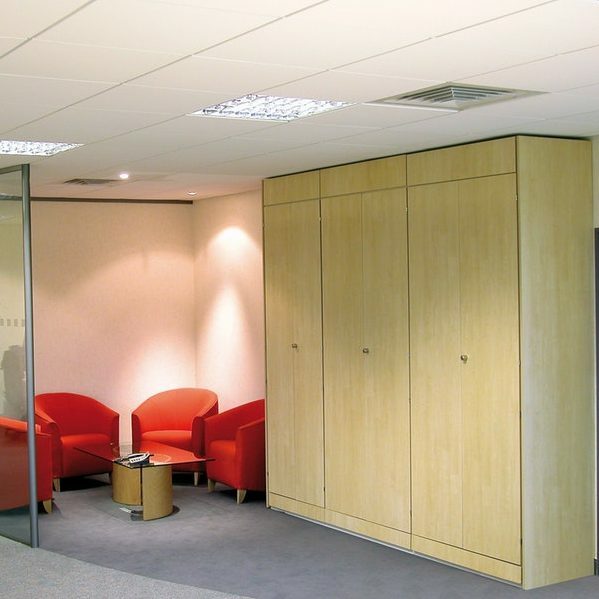 Whatever height remains up to the ceiling will be filled with a pelmet section and shadow strip, creating a floor-to-ceiling wall of storage. 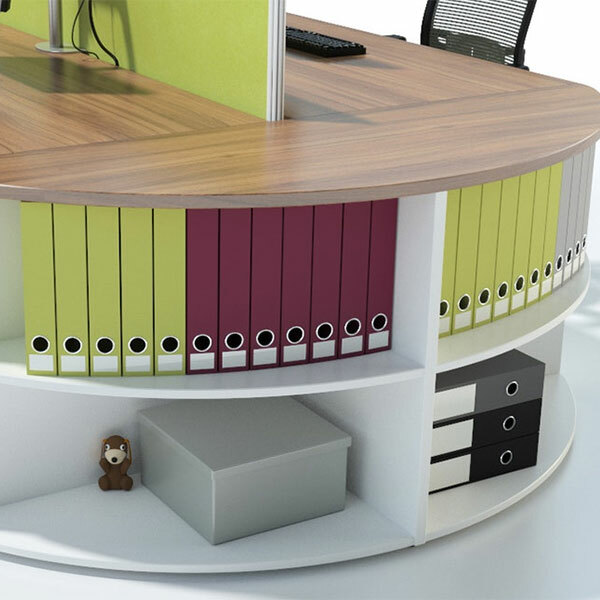 Any shortfall in width may be filled with a custom-sized infill section.